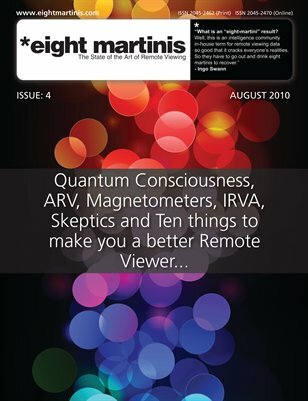 A magazine to promote the art of Remote Viewing. 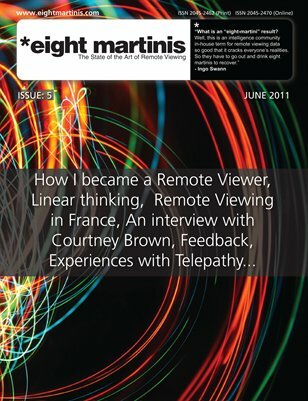 A technique that uses human intuition or psychic skill. 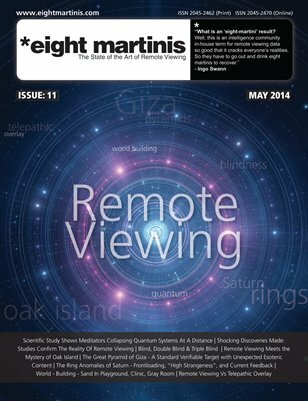 Each Issue contains articles, theories, papers and examples of remote viewing. 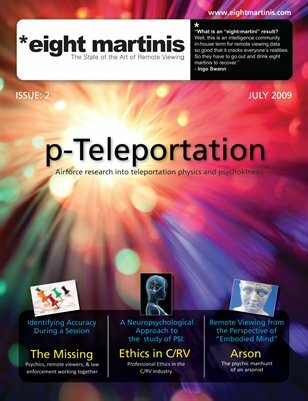 ESP, psychic, PSI, RV, CRV, Remote Viewing. 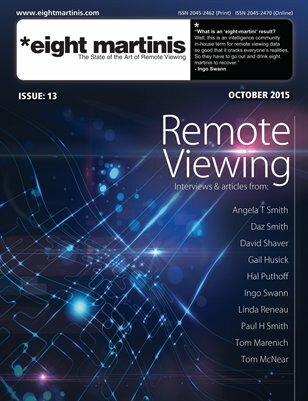 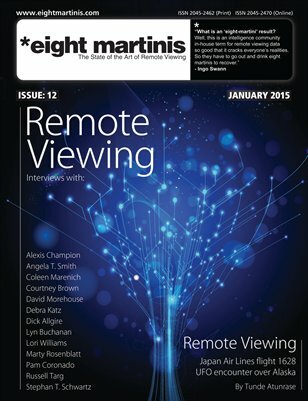 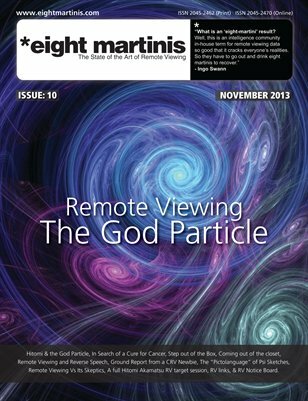 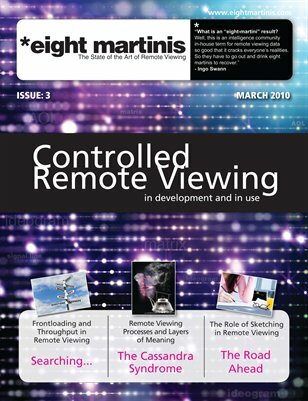 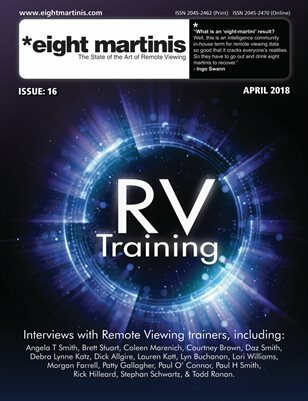 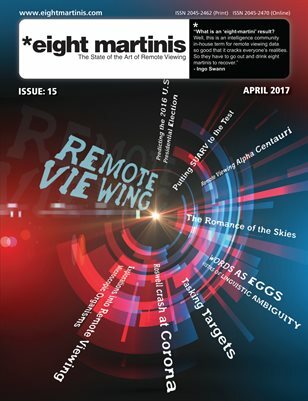 Eight martinis remote viewing magazine issue 10 is packed full of remote viewing examples, projects, resources and experiments. 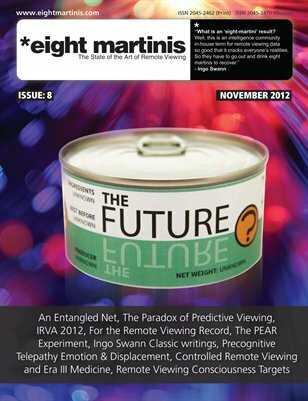 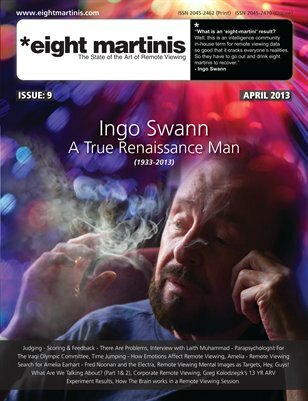 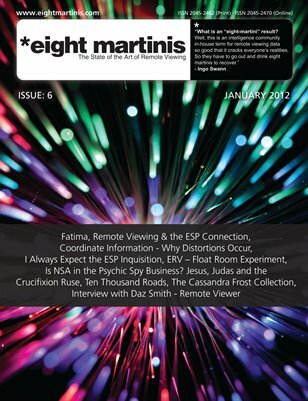 Eight Martini's is a magazine dedicated to the promotion and sharing of Remote Viewing news, articles, papers and examples. 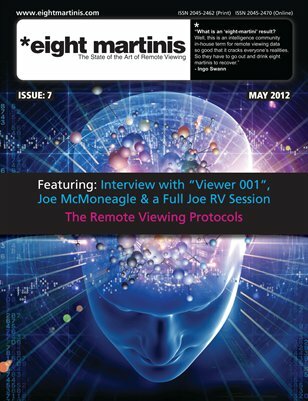 The latest Issue of this Remote Viewing magazine packed with lots of great Remote Viewing information, articles and examples.